Regional Centre for Urban and Environmental Studies, Ministry of Urban Development has recently invited applications for total of 750 posts for Junior Assistant, Bill collecttor, Health Assistant, Junior Accountant, Senior Stenographer & System Manager on the outsourcing basis, available in the ULBs (Urban Local Bodies) of Andhra Pradesh. The Candidate will be employed with the company for a period of one year which is extendable from time to time till the posts get filled up on a regular basis through direct recruitment. Date of Examination AP Municipality Recruitment 2017: Examination will be conducted offline on 22nd October 2017 (Sunday) from 10:30 a.m. to 12:30 p.m. (2 hours duration). 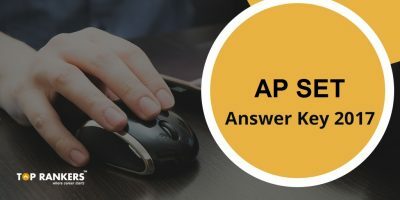 The question paper will consist of 100 multiple choice questions in English and Telugu versions carrying one mark each. Centre of Examination AP Municipality Recruitment 2017: A common Examination will be conducted offline in 13 cities Srikakulam, Vizianagaram, Visakhapatnam, Rajahmundry, Eluru, Vijayawada, Guntur, Ongole, Nellore, Kurnool, Anantapur, Kadapa and Tirupati) of Andhra Pradesh. Should possess a Bachelor’s degree from any University recognized by University Grants Commission or its equivalent qualification with required pass percentage of 60% for OC, 55% for BC and 50% for SC, ST & PH. A certificate in MS Office and computer knowledge from a technical institute recognized by the Government. Graduates holding a Degree in B.C.A., or B.Sc. (Computers) or B.Com(Computers) or B.A. (Computers) or B.Tech/ B.E with Computer Science or Information Technology or equivalent of above, from any recognized University in India or incorporated by or under Central Act, Provincial Act or a State Act or any institution recognized by the University. A certificate course on system design, database Management, system security and networking. A certificate in MS Office and computer knowledge from a technical institute recognized by Government. Graduates holding a Degree in B.C.A., or B.Sc. (Computers) or B.Com. (Computers) or B.A. (Computers) or B.Tech/ B.E with Computer Science or Information Technology or equivalent of above, from any recognized University in India or incorporated by or under Central Act, Provincial Act or a State Act or any institution recognized by the University. Examinations, constituted by Government of Andhra Pradesh or from Government of India/Government of Andhra Pradesh recognized Institutions. Commission or its equivalent qualification with required pass percentage of 60% for OC, 55% for BC and 50% for SC, ST & PH. A certificate in MS Office and computer knowledge from a technical institute. i) Srikakulam, ii) Vizianagaram, iii) Visakhapatnam, iv) Rajahmundry, v) Eluru, vi) Vijayawada, vii) Guntur, viii) Ongole, ix) Nellore, x) Kurnool, xi) Anantapur, xii) Kadapa and xiii) Tirupati. How to Apply for AP Municipality Recruitment 2017? 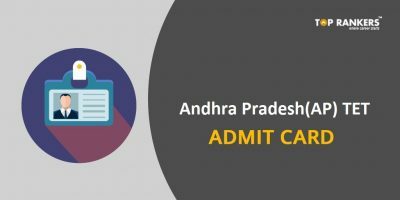 APTET Admit Card 2018 – Download Andhra Pradesh TET Hall Ticket here!